The Berklee College of Music was founded on the revolutionary principal that the best way to prepare students for careers in music is through the study and practice of contemporary music. For more than half a century, the college has evolved to reflect the state of the art of music and the music business, leading the way with the world’s first baccalaureate studies in film scoring, songwriting, music production & engineering, music business management, music composition, and more than a dozen other genres and fields of study. With a diverse and talented student body representing 96 countries, and alumni who have collectively won more than 250 Grammys and Latin Grammys, Berklee is the world’s premier learning lab for the music of today—and tomorrow. ICOM’s curriculum articulation agreement with the Berklee College of Music enables ICOM students who have completed the foundation in music and have been accepted to Berklee to transfer all credits to any of Berklee’s 12 majors. 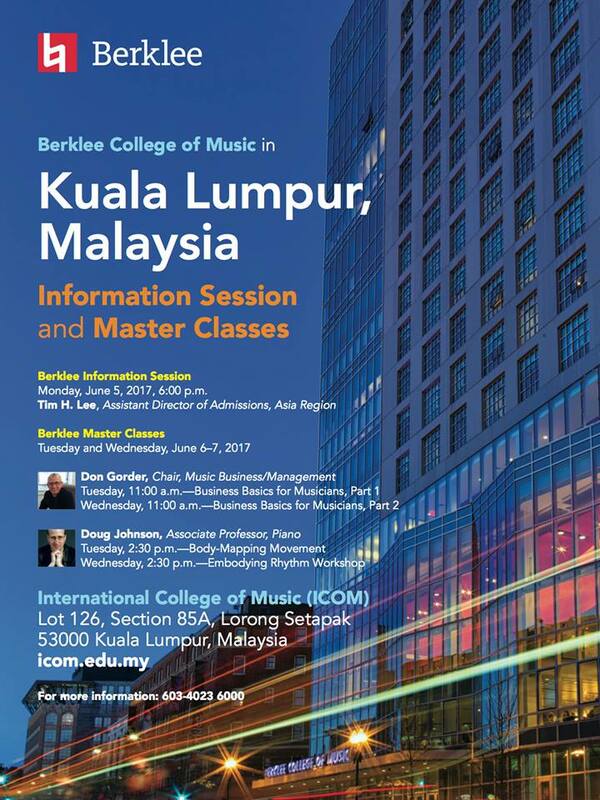 Whether its music production & engineering, music composition, music therapy or music performance, ICOM students save over 60% in tuition fees through this exclusive agreement to study for a music course at Berklee. Over 800 ICOM students have gone to study at Berklee, with a large majority of them being placed in the Dean’s List and graduating with honors.